Happy Tuesday. Well, my baby is starting kindergarten today. I. Can't. Believe. It. Wasn't he just in diapers? Weren't we just in playgroups?? I've been scrapping about it a lot. Therapy? Maybe. Does it help? Not, really. The good thing is that he's only going half day. And he is just so excited. He has several friends in his class that were in preschool with him. Plus, he's an old pro at this school thing. I'm looking forward to being a volunteer in his room one afternoon a week. I can finally put my teaching skills to use. :) His teacher seems wonderful and his room looks great. So, we'll have to see how we do at drop off time. I'm meeting my friend, Donna, after she drops off her twins at their first day. We are going to comiserate at Starbucks. I volunteered to go back and help the teacher with dismissal, so I get to head back earlier than normal. So, here is one of the pages I created about the kindergarten thing. 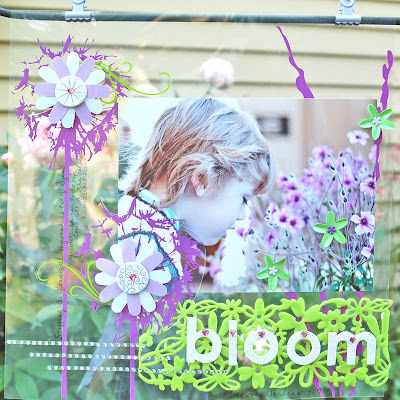 I was so excited to be asked to be a Guest Designer over at the Design Experiment. 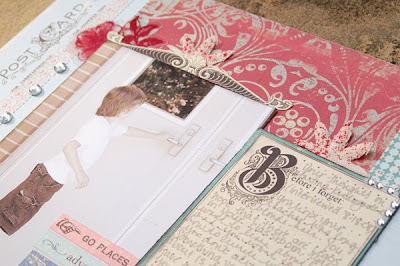 It's a really fun challenge blog - be sure to check it out. Their prompt this week is to interview someone. Here's the page I made after I interviewed Ryan about starting kindergarten. You hope your teacher has long blonde hair. You hope that there are Legos in your classroom. You want to learn about pigs and you want to learn how to write words that you don't already know. Something you're worried about is that they won't have a snack that you like. You want your new friends to know that you like to be silly with your friends. Most importantly, you are excited for your new adventure! I pray hat all your kindergarten dreams come true. What a crazy couple of days it has been!!!! I was finally able to share my secret yesterday!! 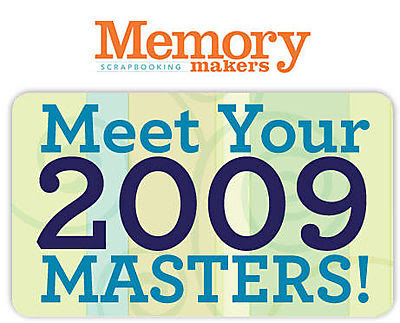 ;) I received the call last Friday from Patty and Beth saying that I was a Memory Makers Master for 2009! It has all been so surreal. I couldn't share my secret with anyone but my family this week. Yeah, that was a bit tough. But now it's official. I'm just thrilled to be working with such a wonderfully talented group of ladies. Congrats to all of you! Hi Everyone! Happy Tuesday. It's beautiful here and we are enjoying our last week of vacation. I can't believe Ryan starts kindergarten next week. I'm so emotional about this. He'll only be there a half day, less time than he was in preschool last year, but still. It's kindergarten! So, we are squeezing in some last minute activities and making the most of our lazy days. I have some projects that I've done with Queen and Co. to share with you today. This fist card is my CPS card of the week. 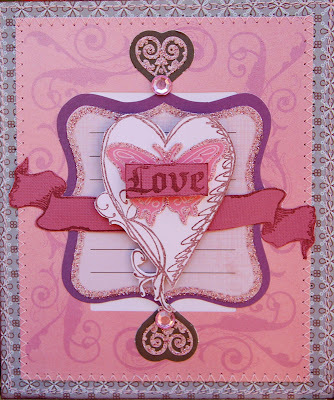 I used Pink Paislee papers along with some stamps and rubons. The felt and jewels are Queen and Co. And the flowers are Prima. 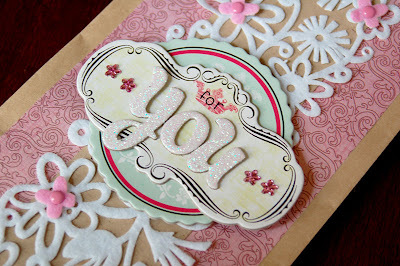 This next card uses K and Company papers and stickers. I added Q&Co. red scroll felt and brads. 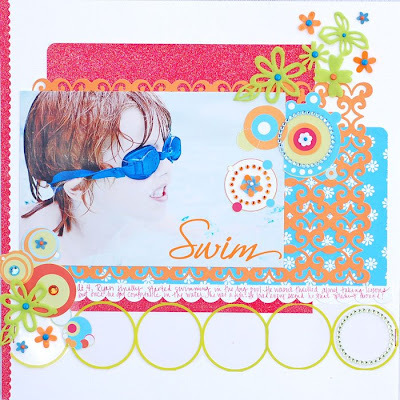 And finally a layout of Ryan during swimming lessons. 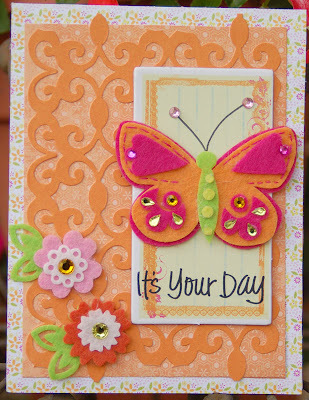 This one uses Cherry Arte papers, a Hambly overlay, Doodlebug glitter cardstock and QCo. felt and brads. Here's waht she said: ' Just got back from vacation. Ah what a needed time away, but catching up on reading all my favorite blogs is going to take some time. Karey, let me know your email address so I can get in touch with you and get your address. Thanks, everyone, for playinjg along. Check back because I'll definitely be having more RAKs! I've been spending some much needed time organizing and cleaning out my scraproom. Boy, is that a job! I don't have a really big space, so when I received some new stuff this week, I had to find room for it! Anyway, I decided to do some RAKs over the next couple of weeks. 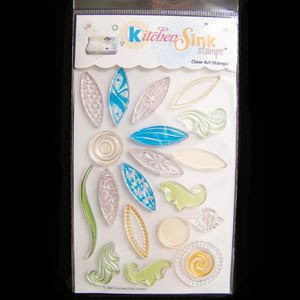 Today's giveaway is a couple of stamp sets from Kitchen Sink Stamps They have some really fun sets. Here are the two that I have for this RAK. This first one is a 3step set. 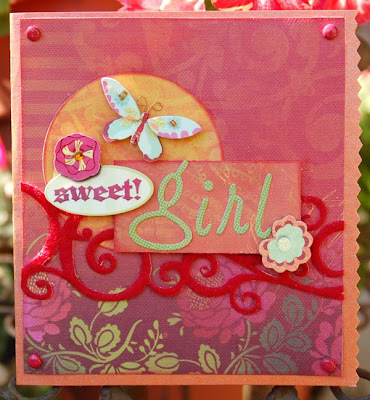 You layer the stamps to get this cool 3D affect. 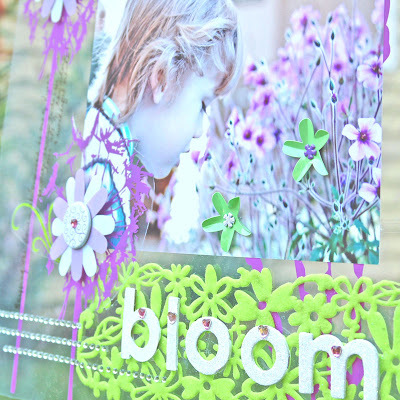 And this next set makes some really cute flowers. Leave a comment by Sunday at midnight and I will post a winner on Monday. So, here are a couple of new things. This card is my CPS card of the week. 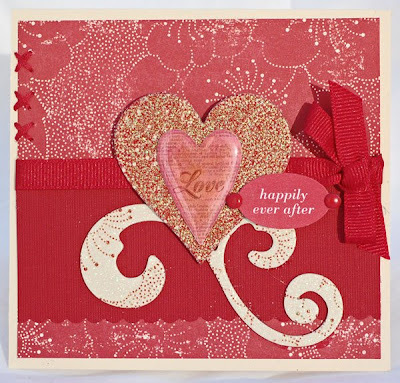 I used Inque Boutique stamps on it. 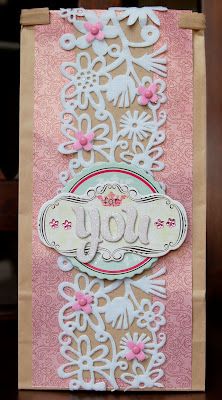 And here is a gift box and card set that I made for Emma's this month. 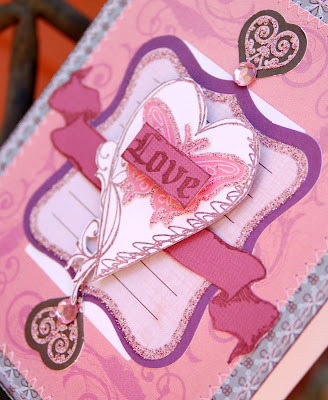 I used lots of MM Noteworthy on here along with KI lace cardstock. The box will hold a gift card. Yesterday's weather was gorgeous! Breezy and sunny - such a perfect combination. And I think it was about 75 degrees out. It's starting to feel like summer is winding down. Ryan has been asking when we can go see the scarecrows at Linvilla, so I guess he's starting to feel like Fall will be here soon. 1. My great, great, great, great (you get the idea...it was a lOOOONg time ago) grandfather was the president of Mexico. 2. I could live on warm, salty chips and salsa. And wash them down with margaritas! 3. I love reading cooking magazines. 4. I recycle everything I can. I even brought two bags of trash home with me from vacation because the place we stayed didn't have recycling bins. 5. I HATE to clean, but love to organize. So, there you go... :) Now, here are the people I'm tagging. No pressure, of course! 6. 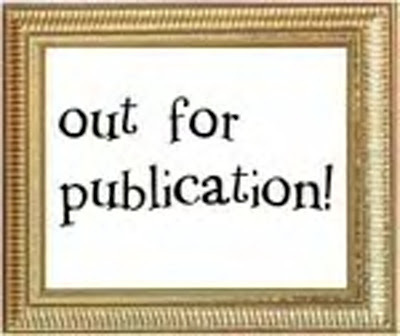 Let the tagger know your entry is posted on your blog. So, here are a couple of new cards. This first one uses some amazing Paper Company papers. 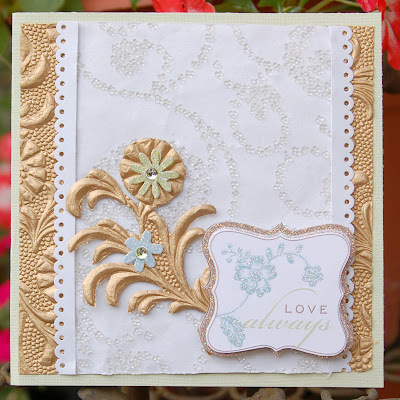 The gold paper is embossed and the white paper has a beaded pattern all over it. 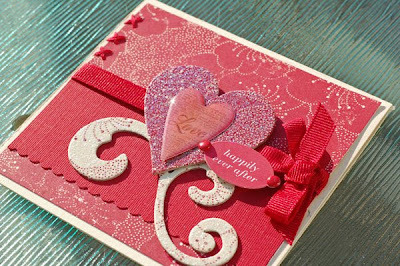 This card was so easy to make. 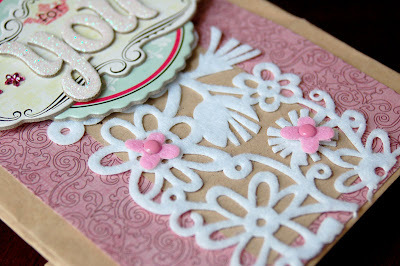 I just cut some of the embossed paper out and added the stickers. 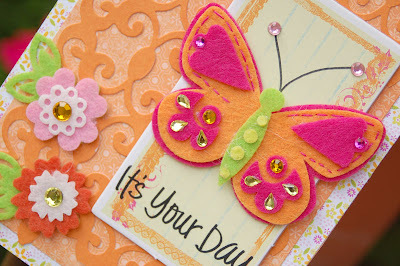 This next card uses a couple of my favorite things at the moment....KI Lace cardstock and felt. I love these K and Co. felt stickers. I made a few things earlier in the week and can't wait to share them with you. But for now I have a couple of cards that I can finally post. 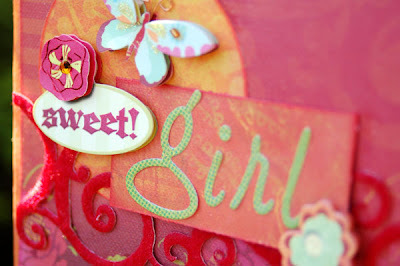 This one was in the June/July issue of Paper Crafts. There's a feature on monochromatic cards. 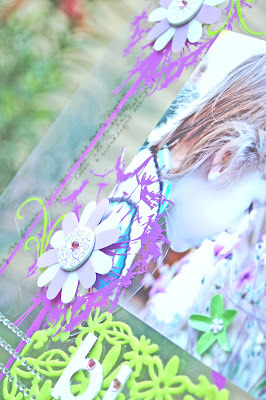 I love these Making Memories papers! This next card was in the August/September issue. I have to say this is one of my favorite issues they've done. I did this for a feature on incorporating color onto black and white. There are so many good ideas! 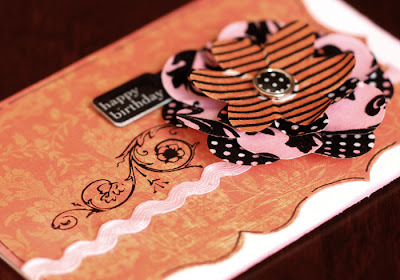 For this card, I used black and white MM flowers and sprayed them with Glimmer Mist. That stuff is so cool. 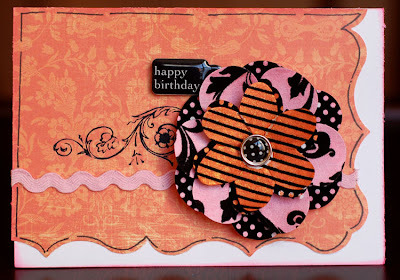 Finally, here's a card I made using the new Webster's Pages papers. They are amazing! I feel so lucky to be able to design for them!! Head over to the Webster's blog for info on how you could win a complete set of one of the new lines! 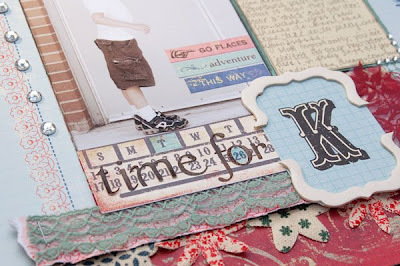 Over at the Pursuit of Craftyness blog this week, we're doing 'Something Old, Something New'. 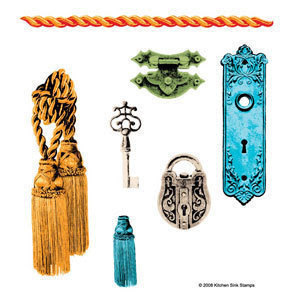 Be sure to stop by to get ideas on how to mix old product or vintage items with new things. Here's a gift bag that I made using Queen and Company felt. I love these bags. You can find them at Emma's Paperie. They are the perfect size to fill with little gifts. And finally, a project I did for Emma's. We had a challenge to use circles. So, I created this cute pillow box set. 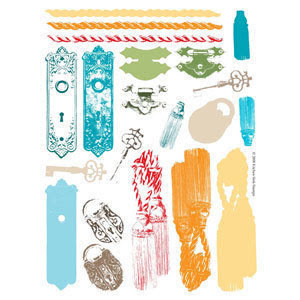 I love this paper from Cosmo Cricket. well, that's all for now. Thanks for stopping by!! I did this page a while ago. It was posted in my gallery, but I never had it on the blog. So I decided I'd pop it up here. I think it may be my favorite page that I've done. I love the photo. It was taken at Longwood Gardens, one of our favorite places. Plus, I love my QCo felt. I adore layouts done on transparencies. I don't know why I haven't done more. So, put altogether, this layout just has a bunch of my favorite things. Well, that's it. Thanks for stopping by!